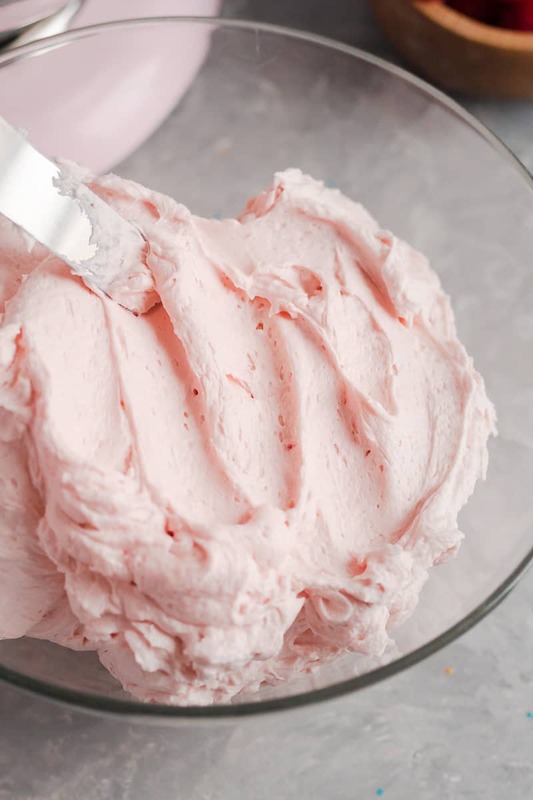 This beautiful fresh raspberry buttercream gets all its color and flavor from fresh (or frozen) raspberries! Last week I posted a recipe for almond cake from scratch, and I frosted it with a creamy, crusting raspberry buttercream made with fresh raspberries. It was such a delicious combination, and I’m glad a friend requested the recipe! I think the last time I had almond cake and raspberry together was when we were cake tasting for our wedding almost 10 years ago. Raspberry didn’t make the cut. The Godfather is picky about his fruit frosting and filling flavors, and since many of the easy crusting raspberry frosting recipes call for the use of jam, they often end up a touch sweet for his liking. Not this fresh raspberry buttercream recipe though! 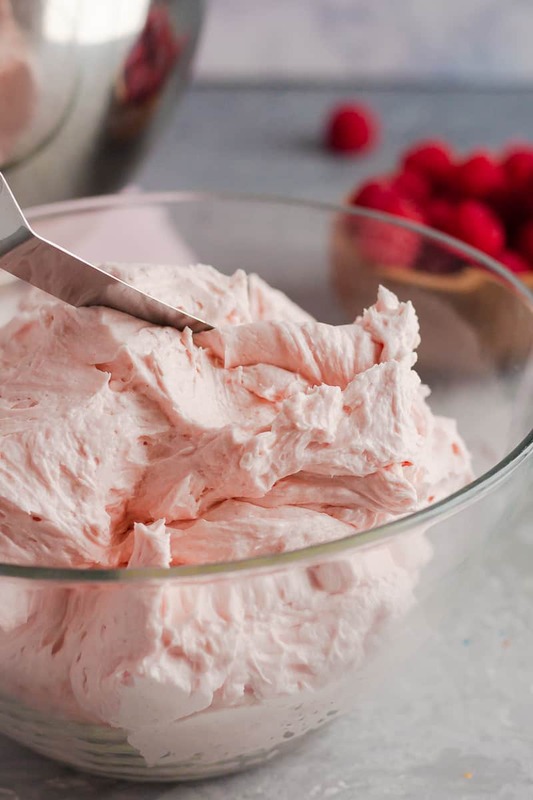 The reason most call for jam or a sugar/fruit puree is because the acid content in the raspberries is just high enough to risk “breaking” your frosting. 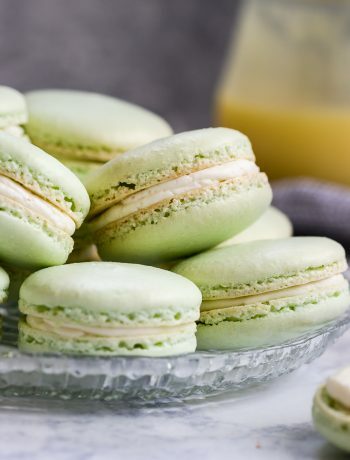 A “broken buttercream” is one that looks slightly curdled and doesn’t have the velvety smooth texture you want for both piping and eating. If you follow the steps in the correct order though, you can safeguard against a broken frosting easily. Then you end up with the best fresh raspberry buttercream frosting I’ve tried. The flavor of the fresh raspberries comes through perfectly! Isn’t it so fluffy? I just love that about this raspberry buttercream. Even though it’s of the American buttercream style with just butter and powdered sugar, it whips up beautifully! And if you’re looking for a crusting raspberry buttercream, this is it! I’ve used it on cakes and cupcakes and it’s always well received. This batch makes about 6-7 cups of frosting. Feel free to halve it if you need a smaller batch, but extra frosting can be wrapped well and frozen for up to 3 months. 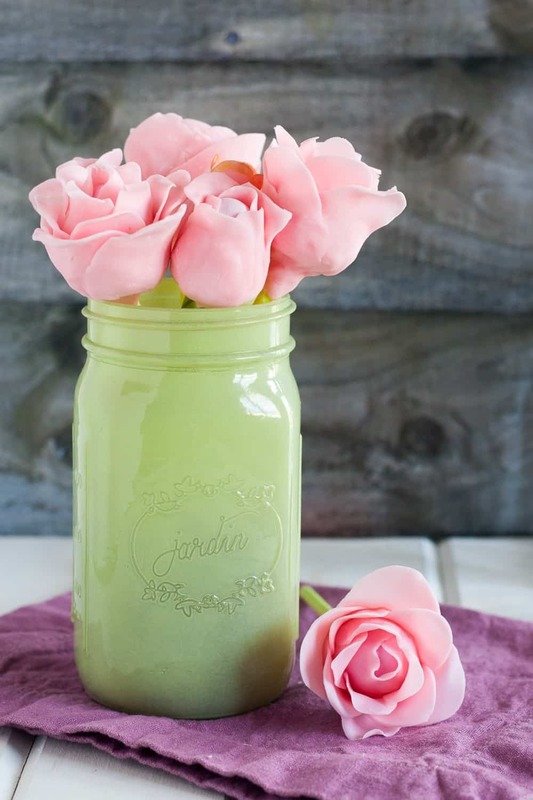 Thaw in the refrigerator and re-whip before using. Easy! This frosting is wonderful with almond cake, but I think it would also pair really well with chocolate or vanilla. 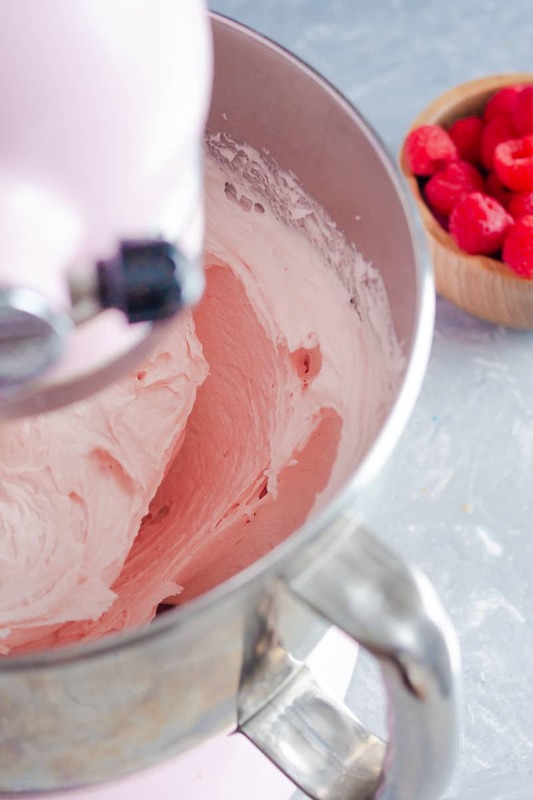 I hope you enjoy this recipe for fresh raspberry buttercream, darlings! 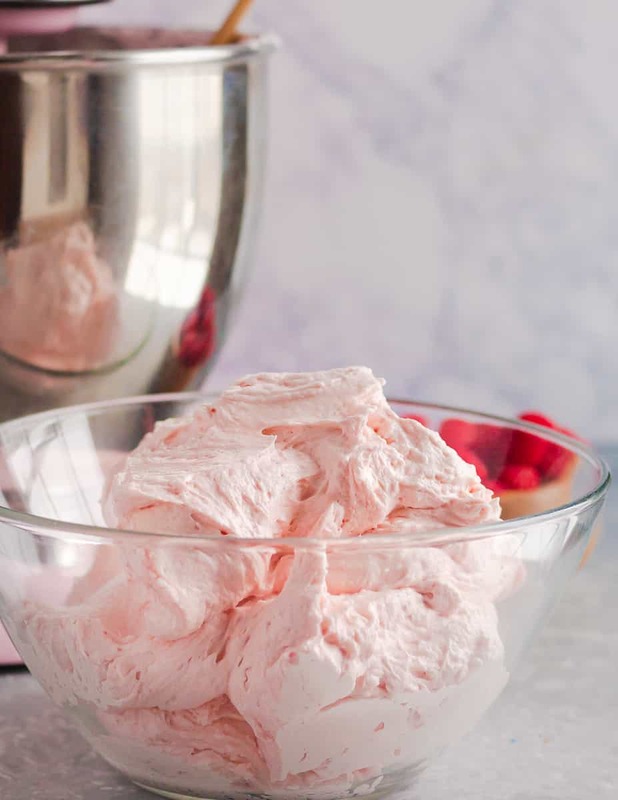 The perfect buttercream for decorating, this raspberry buttercream recipe uses fresh raspberries for a not-too-sweet flavor equally pleasing to kids and adults. Place the fresh raspberries into a fine-mesh sieve over a mixing bowl. Using the back of a spoon, press the fruit against the sides of the sieve to squeeze out the juices and some of the pulp, leaving the seeds in the sieve. This makes about 1/2 cup of smooth puree/juice. 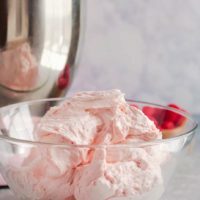 In a mixing bowl or the bowl of a stand mixer fitted with the paddle attachment, cream the butters together until light and fluffy. Add the powdered sugar 1 cup at a time, scraping the bowl and mixing on low after each addition. Once you've added 5 cups of sugar, add the raspberry puree. Continue adding the remaining two cups of sugar as before. If your frosting is too thick, add a little heavy cream to thin, if it's too thin, add a little more powdered sugar until the desired consistency is achieved. **Feel free to use frozen berries, just thaw them first. Almond Cake From Scratch Orange Curd Recipe - Creamy & Delicious! In the ingredients is states 1/2lb. of unsalted butter and 1/2lb. of salted butter. So does that mean 2 sticks of unsalted and 2 sticks of salted butter? Making it a total of 4 sticks of butter going into the recipe? Yes, it makes about 5 cups of frosting, enough to fill, frost, and decorate an 8 inch cake. Would this frosting work ok on a,layered cake? Absolutely, you can use it just as you would any standard buttercream frosting. Your Icing looks beautiful! Im going to try this out!! Simply beautiful cupcakes! 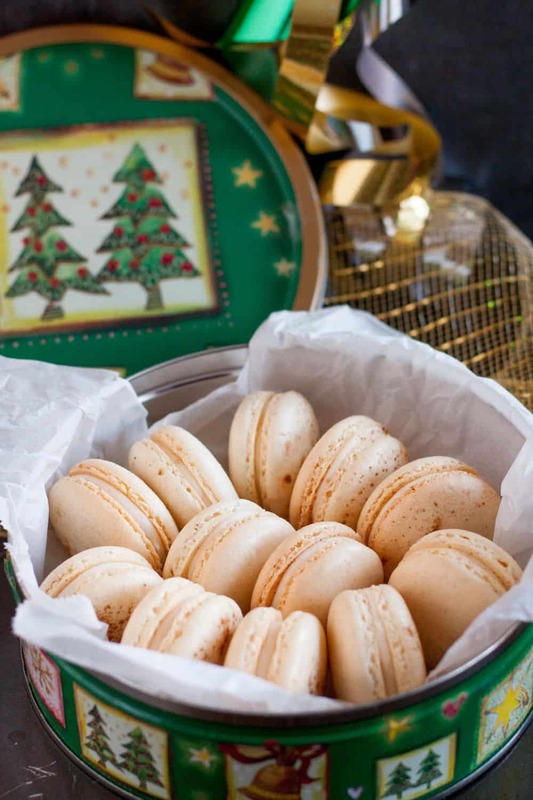 How did you pipe the frosting to make them look so pretty? These look so great!!! I’m baking cupcakes for my friends birthday and she asked for raspberry buttercream frosting. I just wanted to know what icing tip you used in the picture. It is delicious, isn’t it? Thank you! What a beautiful picture! They look so professional. You can’t beat 4 ingredients! I can’t wait to try them.